Goldia became a world famous trick rider after seeing her first Wild West show at seventeen. She made a deal with Curly Griffith to teach her trick riding in exchange for exercising horses. 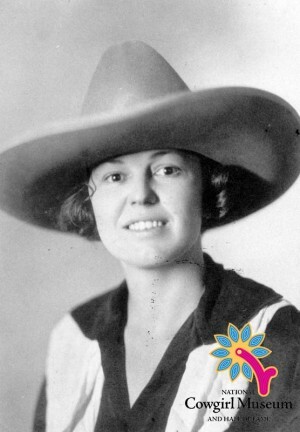 She soon participated in local fairs, and was discovered and hired for contract work trick riding and bronc riding with the Malone Wild West Show. An accident caused Goldia to retire to farming, where she won many awards for innovative and experimental practices.